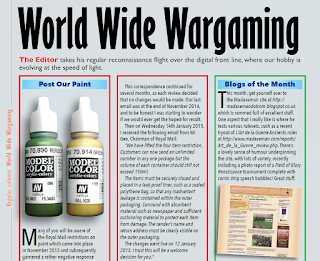 This site, reviewed in Miniature Wargames! 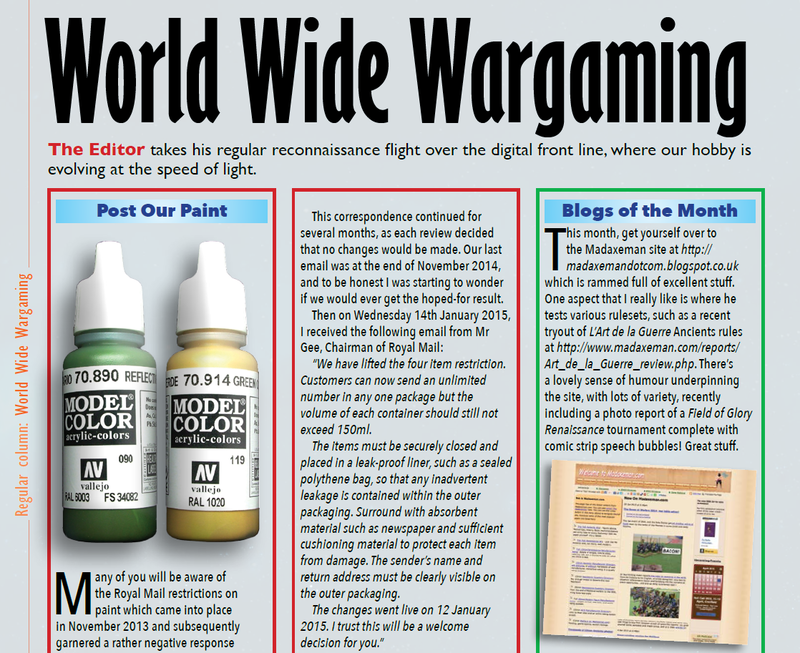 Some nice words from Henry Hyde at Miniature Wargames about this site, as Madaxeman.com is the "Blog of the Month" for February 2015! Art_de_la_Guerre_review.php. There’s a lovely sense of humour underpinning the site, with lots of variety, recently including a photo report of a Field of Glory Renaissance tournament complete with comic strip speech bubbles! Great stuff. "